So here’s what I will admit: I get why fans of other teams don’t like the Red Sox (and their fans). I do. You can’t turn on a national game, most of the time, without one of the teams playing being the Red Sox. During the season, you can’t put on ESPN or MLBN without being reminded that the Red Sox are struggling or succeeding, repeatedly. Ken Burns devoted a third of his newest documentary about baseball just to the Red Sox and ESPN decided everyone needed to understand what Red Sox fans went through in 2004 during those “Four Days in October”. (I had one fan email me to tell me he would have understood if those four days covered the World Series but not the ALCS because “Nobody but New York and Boston fans cares about your rivalry”.) Since 2001, the Red Sox have been in the post-season six times. Were I not a Red Sox fan, I’d be sick to death of them too. I admit all of this because, really, I used to have no issues with the Phillies. There was no one I the team I disliked (Once Brett Myers left) and based on my own interactions with Phillies fans in their park, I didn’t have the strong animosity toward the fans that so many others do. After this past week, I’ll say this: If I never watch another Phillies game again it might be too damn soon. 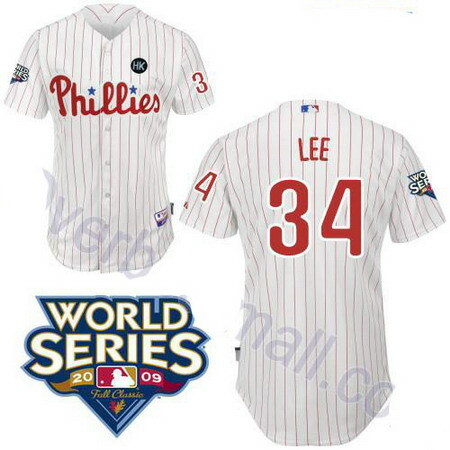 The idea of another Phillies/Yankees World Series makes me sad. Because, as they say, I’ll be rooting for the meteor. I honestly won’t care one way or the other who wins. I always want the Yankees to lose, but in this scenario I’d want the Phillies to lose as well. What to do? What to do? Much to my surprise, my only hope might be the San Francisco Giants. While the Atlanta Braves are making it interesting, the Giants have been impressing me. I have no doubt that whichever team faces the Phillies is going to have a tough time of it, but I’m an optimist and as the prophet Kevin Garnett has taught us, “Anything is possible”. Reds get swept, Twins get swept, Giants are a game away from winning (but not sweeping) and the Rays and Rangers are bringing us an exciting game five tonight. Here’s hoping the damn cowbells get silenced by Mr. Cliff Lee. I’ll be watching. It might be with the sound muted, but I’ll definitely be watching. Jonathan Van Every was designated for assignment to bring back Jacoby Ellsbury. While I'm thrilled that Jacoby is back, I'm sad for JVE. I hope he clears waivers and ends up back with the organization. Photo courtesy of Kelly O'Connor/sittingstill.net and used with permission. If Papi had hit that grand slam last night I’m pretty sure I wouldn’t be able to speak today. But he didn’t. And the Sox lost 5-1 in their first interleague game of the season and I’m, oddly, not really troubled by that. I AM troubled by John Lackey. I was thrilled when the Sox signed him and I don’t think his troubles right now are a true indication that the signing was bad but he is struggling and it’s almost John Smoltz-like painful to watch. I don’t know what’s wrong, don’t know if he knows what’s wrong, but it needs to be fixed fast. To see two of our pitchers go into the ninth inning and then watch Lackey hit 107 pitches in five innings is like being in a speeding car that suddenly smashes into a brick wall. And I don’t want to spend the rest of the season speeding along and hitting that brick wall every time he pitches. Instead of Saturday afternoon baseball, because MLB thinks we really don’t enjoy that, we get 7:10pm baseball – on Fox. Lovely. I’m thinking tonight is one of those nights when the volume goes off and the radio goes on (although with the subway series in New York there is a good chance we don’t get McCarver and Buck – there’s always hope!). And at least now we all get to go out and enjoy the beautiful day without concerning ourselves with baseball for a little while. Daisuke Matsuzaka takes the mound tonight. If he’s having a bad game every other game…we get a good one tonight, yes? So a week ago who would have thought two of our starting pitchers would go into the ninth inning? This week we had two of them do it and Lester got himself a complete game in the process. The sun shines a little brighter after a game like that. After all that you’ve done for the fans since 2003, how do you react to fans who abandoned you during your slumps this year and last year? It’s not the fans. It’s not the fans that come out with that. It’s the media. It’s the media that’s the one that thinks they’ve got everything figured out. You’ve got guys sitting down out there that have never played the game ever before, talking about how they think I’m supposed to leave, that you are done, that you can’t hit any more, that you can do this or you can do that. You never hit before in your life ever. You know nothing about that. … I’m right here, working hard, doing my thing. I’m not paying attention to any of their crap anymore. There were plenty of boo birds at the park this year when Papi was struggling. His quote here, though, tells me that he gets it. That he knows there are more people behind him, supporting him, than there were idiots at the ballpark. In 2005, I took a road trip with a friend to Philadelphia to catch a weekend series between the Sox and the Phillies. I remember our being heckled by Phillies fans at the hotel, telling us we were going to get swept. I also remember thinking, after the Sox won the first game, “Okay, they won one. At least we got one out of it.” and then after they won the second game my friend said “Okay, they won two…it doesn’t matter what happens on Sunday as long as we get an exciting game”. The Sox swept. There was no better way to spend a weekend in an opposing park. (And we got our exciting Sunday game. The scores, up to that point, were 8-0 and 7-1, Sunday’s score was 12-8!) That weekend the pitching matchups were Tim Wakefield/Jon Leiber, Matt Clement/Vicente Padilla and David Wells/Brett Myers. Any time the Sox play in Philly, the weekend trip comes back to me and I hope that this weekend will be as fabulous as that one was – even though I won’t be in Philadelphia to enjoy it. Pitching matchups this weekend are John Lackey/Cole Hamels, Daisuke Matsuzaka/Kyle Kendrick and (dun dun DUN!) Tim Wakefield/Roy Halladay. The Sox are riding high right now but the Phillies…well the Phillies are damn good. But the Sox just took 3 out of 4 against two damn good teams so, really, I have a good feeling here even if the pitching matchups make me a little twitchy. For those interested, there is a message board up here. You sign up, get approval and voila, you’re in. There are some guidelines and trolling is strictly prohibited but come and join us if you’re up for it. I keep saying this is an experiment and I’m not sure how long it will last (I think it depends on you all and how much we all like doing it) but given the responses I received, I thought it was worth a shot. 7:05pm it starts…interleague play. Whoopee. Seriously, my biggest hope for the weekend is that our pitchers all come out of it uninjured.